Quench your thirst with American know-how! This Captain America Action 16 oz. 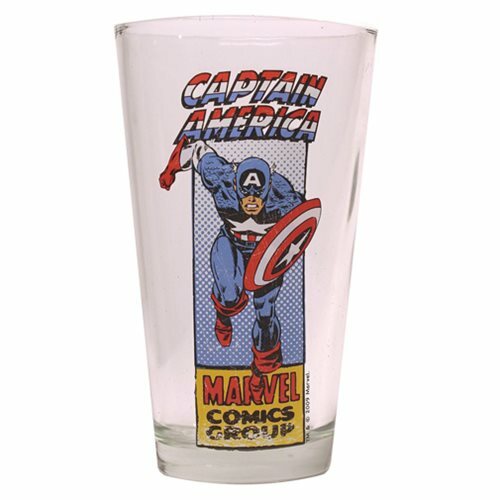 Pint Glass features an image of 90-pound weakling turned super soldier, Steve Rogers, in full action as Captain America. Glass comes in a full-color open-window gift-box package. Hand wash only. Not dishwasher safe. Do not microwave. Measures 6-inches tall. Ages 14 and up.